We are always surrounded by beauty that we rarely see. Today I would like to share that beauty with you. That unique personality of children when they are with their pets and the way these precious animals respond to photography. 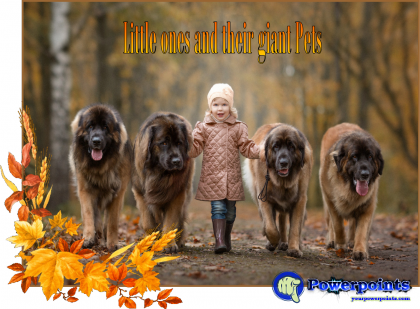 The aspects of humanity that we recognize in our dogs among other things, is what makes us feel so close to them, and in this presentation I would like to show you beautiful moments between these little ones and their giant pets !!! THANKS FOR SHARING VERY PLEASANT SNAPS. I hope this year you will realize all your dreams and receive what you want. Thank you for the beautiful comments you always give me. receive a big hug from California with my friendship.